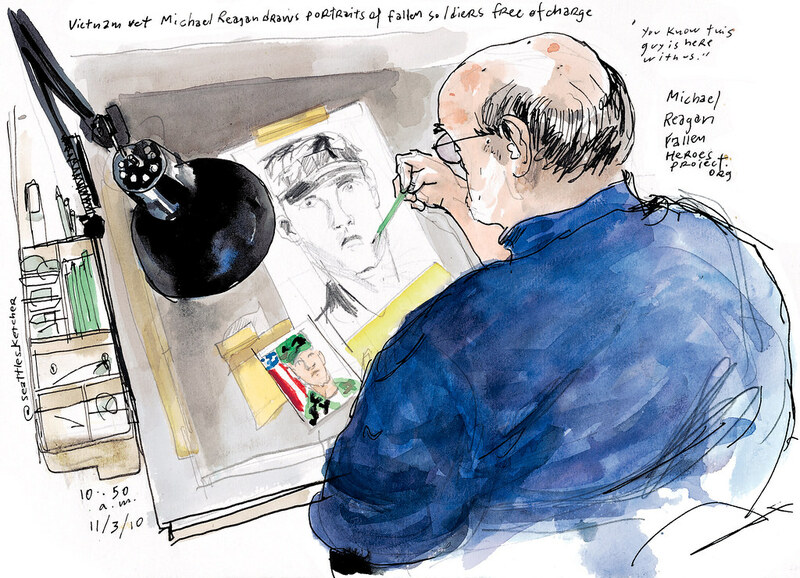 Seven years later, Reagan has drawn 2,391 pencil portraits for families of soldiers killed in Iraq and Afghanistan. A recent one depicts Spc. James Robinson, of Lebanon, Ohio. The father of two was on his third combat tour when he was killed in Afghanistan on Aug. 28, said widow Kate Robinson, of Fort Campbell, Kentucky. Reagan will receive Washington State’s 2010 Outstanding Veteran Volunteer Award during Saturday’s 45th Annual Veterans Day Parade events in Auburn. Watch Reagan draw and talk about “The Fallen Heroes” project on this upcoming Fox News Channel “Real American Stories” video.